Click directly below to sign-up for classes. Waiver form can be found at the bottom of the class description. Riverview Elementary is excited to announce our 4th session registration for the After-School program. Registration will be open on Wednesday, February 21st at 8:00 a.m. All information including club schedules, registration forms, and waivers will be available online. We will use SIGN-UP GENIUS on the Riverview website. Please fill out the registration forms if you haven't completed one this school year and make a payment in the office . If you need payment arrangements ro have any questions please contact RaeAnn Nelson at raeann.nelson@nebo.edu. The 4th session will begin on Tuesday, March 6th, and go until Wednesday, May 16th. 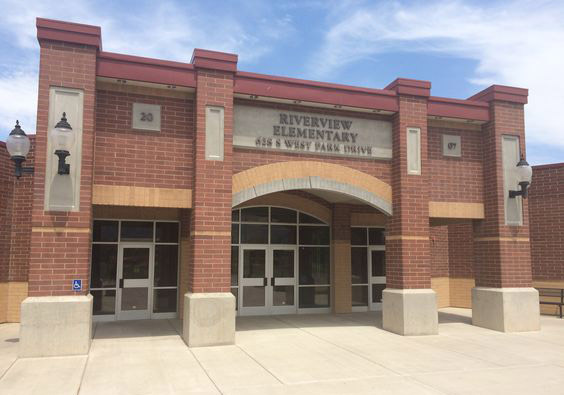 We look forward to having your students participate in Riverview's After-school Program. Lego Jr. K-3rd grades; A fun and interactive club for students who love Legos they will work together in teams to make items of the day also they will have free play time. Spring Arts and Crafts 2nd - 4th grades; A club for students interested in Art drawing, watercolors, acrylic, and pottery. Origami 2nd - 6th grades; A club to teach the ancient art of folding paper, using new ideas helping students solve some world problems with paper. Sign Language 2nd - 6th grades; A club taught by the ASL club at the high school introducing students to this great universal language. Superhero K-3rd grades; A value club teaching manners, goals, and friendship building skills. Superstar Sport K-4th grades; Students will focus on healthy body image, strengthening exercises, teamwork, and fun. Students will play games like hockey, soccer, flag football, and more. Spa and Healthy Lifestyle 2nd - 6th grades; A club that focuses on making healthy life decisions like food, exercising, and team building. Kids Rock K-3rd grades; Each week students will be exploring a new topic from crafts, games, cooking, science and more. Babysitter Club 3rd - 6th grades; Students will focus on learning the basics of child care, first aid skills, fun games, and healthy food preparation. Science and Rockets K-4th grades; Exploring all that is slimy and gooey, along with Bill Nye and Myth Buster experiments. They will learn the scientific process and try some Bill Nye and MythBusters experiments. They will have the opportunity to launch rockets and work hands on with 3D printing. Video Game Design 3rd - 6th grades; A computer technology based club using creativity and collaborative efforts to increase skills in a STEM world. Lego Robotics 2nd - 6th grades; Creating Robots using Lego Mindstorms while learning valuable engineering and programming skills. Cooking Jr K-3rd grades; A club to teach cooking skills and healthy eating habits along with food preparation and clean up. Farm Yard Fun K-3rd grades; Students will learn about different farm animals and planting vegetables. Students will have the opportunity to meet some baby animals and enjoy a small petting farm. Minecraft 2nd - 6th grades; A computer technology club using creative and collaborative efforst as students learn 21st century computer skills that are needed in the world today. Soccer Jr k - 4th grades; A club focusing on the basics of learning the sport of soccer. Healthy lifestyles and good sportsmanship will be promoted.